An award-winning Native American chef, food historian, and photographer will provide an insight into centuries of culinary tradition when she gives a public lecture at Plymouth University in June. 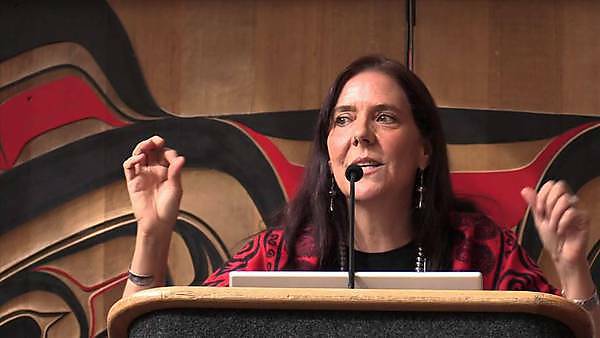 Doctor Lois Ellen Frank, adjunct professor at the Institute of American Indian Arts (IAIA), will take to the stage to talk about using ancestral Native American foods as a ‘New Paradigm for Indigenous Health and Wellness’. Doctor Frank will take the audience on a journey from the Pre-Contact period to the New Native American cuisine and the movement surrounding these foods and their history. The talk is the first of a series of events being organised by the University, in conjunction with the City of Plymouth and the US Embassy, ahead of the Mayflower 400 celebrations. Others include a visit from the US Ambassador in September, and a joint US-Plymouth University climate change lecture scheduled for the end of the year. Doctor Frank is from the Kiowa Nation on her mother’s side and Sephardic Jewish from Spain on her father’s side, and based in Santa Fe, New Mexico. She has spent more than 20 years documenting the foodways of Native American tribes in the South West of the United States. Much of her research formed the basis of her book Foods of the Southwest Indian Nations, for which she became the first Native American to win the James Beard Award. Doctor Frank has worked with a number of world-renowned chefs, scientists and academics on cookbooks and academic papers covering a variety of topics including the agricultural, culinary, mythological, and socioeconomic uses of foods and plants among various indigenous peoples across the Americas. A renowned writer and photographer, a selection of her pictures will also be on display at the event, which is being held on the University campus on 10 June.